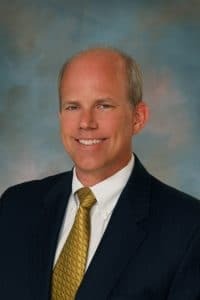 Rick Hoagland began his career with a local accounting firm in 1993 and went on to provide private business valuation and litigation support services in 2008. He joined Caler, Donten, Levine, Cohen, Porter & Veil, P.A. in 2013. Rick has more than 25 years of experience providing business valuation and litigation support services to clients and their attorneys. He has provided expert witness analysis and testimony in many areas, including family law matters, commercial litigation, eminent domain proceedings, personal injury / wrongful death matters, civil and criminal fraud cases, and estate and gift matters. He has been qualified as an expert witness in Florida state courts and in Federal court. Rick has received introductory and advanced training in collaborative dispute resolution, and is active in local and state-wide collaborative practice groups. His business valuation experience includes valuing closely-held corporations, limited liability companies, and partnerships for clients in various industries. His experience in forensic accounting and litigation support includes extensive experience in family law matters, asset-tracing and fraud investigation, corporate disputes, dissenting shareholder actions, and economic damages calculations for personal injury and wrongful death actions. This entry was posted in Directors on July 29, 2016 by Brian at Mackmedia.